For those who haven't heard, chocolate is now considered a super food. Along with its many other benefits, such as preventing oxidisation, chocolate can help you lose weight. Scientists have proven that one square of dark chocolate each day can help shed the pounds so now you can eat it for medicinal purposes! 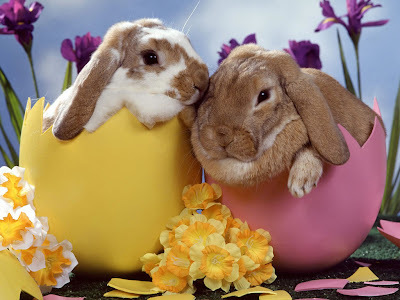 I hope you all have a fantastic time over the Easter break! Hooray - that's the best news I've heard in ages. I notice you don't say what size square of choccie, so I'll use my own judgement on that! LOL Patsy! Wasn't it nice of me to leave that up to you? Happy Easter to you too, Lacey! I love chocolates so it's good to know I don't have to feel guilty for eating it!